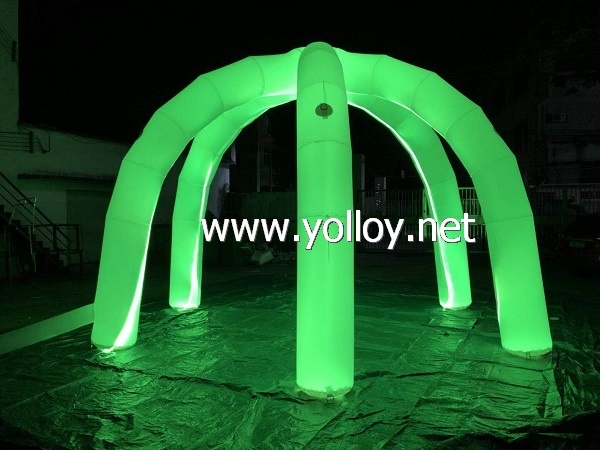 Inflatable dome archway shape tent is very convenient and flexible, which is widely used in parties, advertisements, sports, exhibitions, weddings, warehouses, campings, hospitals and so on. Because it's easy assemble and put away, carrying, What's more, is more durable, cheaper and safer than steel or concrete solid buildings.Besides, LED lights makes the inflatable dome tent colorful and more arrtactive,isn't it? The size can be customized,please let us know the size you want,and then we make the best quotation for your reference.